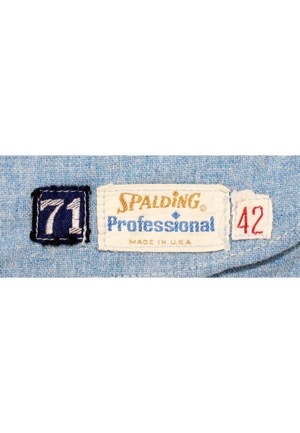 On the front left tail of the flannel jersey is the Spalding manufacturer’s tag with two box tags adjacent reading the size “42” and the year “71”. 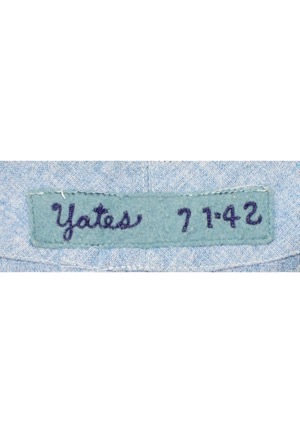 In the rear collar is a strip tag reading “Yates 71-42”. 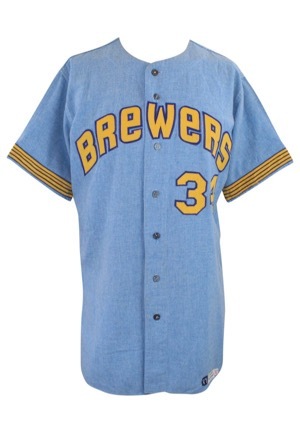 Across the chest reads “Brewers”. 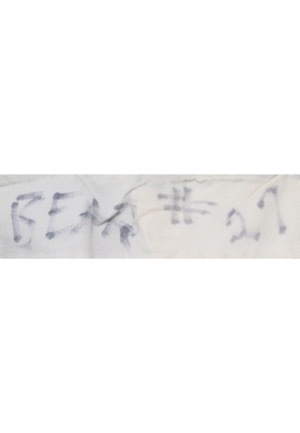 Adjacent below and on the back is the player number “34”. 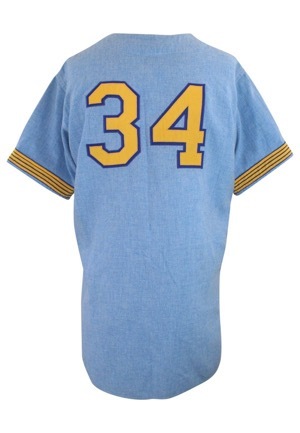 All numbering and lettering is done in yellow on blue tackle twill. 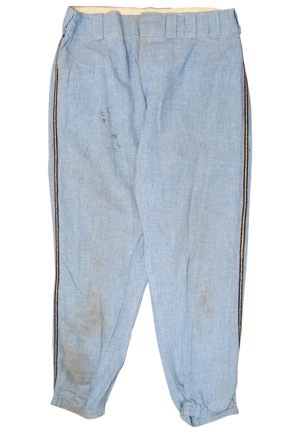 There has been a number change on both the front and back which not reflects the number of Jim Hannan. 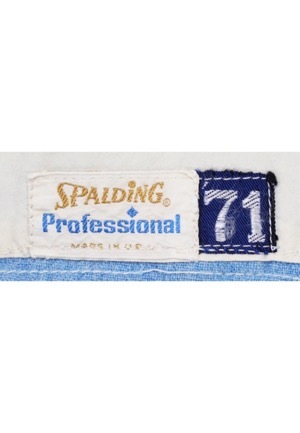 In the inside front of the waistband is the Spalding manufacturer’s tag with an attached box tag reading “71”. 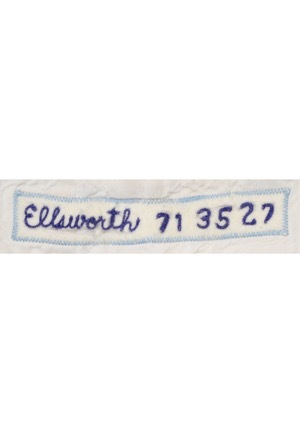 In the rear waistband of the pants is a strip tag reading “Ellsworth 71 35 27 with various laundry markings. This uniform is properly tagged, was presented to us as game-used and in our opinion show excellent use.